Mouth of Wonder: MoW pie featured on CakeSpy! MoW pie featured on CakeSpy! Love the free press! 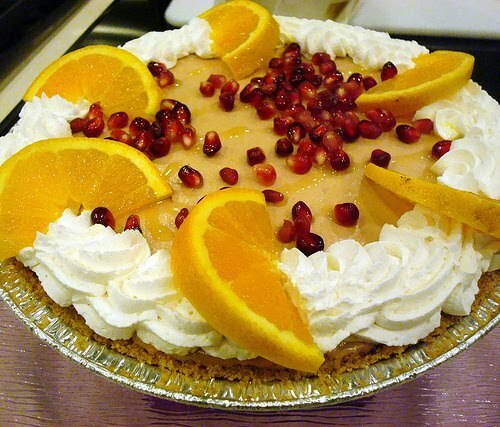 Thanks to Jessie of the delicious blog CakeSpy for her mention of my Pomegranate Mousse pie in their report on the Holiday Pie Mania fundraiser, AND the follow up recipe post! Here's Jessie's beautiful photo of my pie from their blog!